The announcement of the new Traktor Kontrol S8, Traktor D2, and now Traktor S5 fuels the raging ‘sync’ debate, adding to the argument whether jogwheels are actually required for the DJ of now and tomorrow. Raising eyebrows, the lack of a jogwheel on the new Traktor S8 or Traktor S5 to me seems to be more important than the addition of two hi-res screens. Also the inclusion of two Traktor D2 controllers built-in, makes an instant statement towards the necessity of the sync button. Let’s make one thing clear from the off, the use of sync with the Remix Decks is mandatory. I don’t know anyone who can keep 4 decks of loops, samples, tracks and acapellas all in time with only two ears, two hands and 10 fingers. With sync activated it frees up your time to perform whatever creative routine you have put together, or a simple multi-channel multi-clip live set. With this in mind, I feel that the new Traktor S8, Traktor S5, Traktor D2, Traktor F1 and the Remix Decks; target a specific future DJ which seems to be growing even more apparent – the Producer/DJ. Maybe this is the future of DJ’ing – the crossover that seems to be happening already between music producers and DJ’s. One wanting to be the other. If you’re a traditional DJ who loves the feel of vinyl under your finger tips, or need a jogwheel to feel at home when you play, the new Traktor S8 or Traktor S5 will look alien to you, although, you can still control the transport of the deck using the touchstrip. Let’s start with vinyl and the traditional turntable or DJ ‘deck’. There is nothing like the feel of vinyl and mixing using turntables. Let me re-iterate that – there is NOTHING like the feel of mixing with vinyl. It takes great skill, concentration and cannot simply be taught overnight. For those that play vinyl, we all know you need both hands and complete control 100% of the time especially when beatmatching, keeping the beat can take minutes to work at. Working the pitch fader up and down is your technique which commands your attention – there is no foot tapping going on here. Add to that scratch techniques if you are a turntablist. The turntable gets your full attention 100% of the time during your mix and your full live set. There is no room for live remixing and you can’t perform a live edit. CDJ’s have become an industry standard around the world, installed in most bars and clubs and usually come without a ‘sync’ button to emulate true turntable style mixing (until the new Nexus series of CDJ2000’s & 900’s) with a large format jog wheel. The CDJ makes a DJ’s job easier and quicker because it is digital. With preparation made beforehand within software, creating playlists, deciding on cue points, bpm and now even key detection, these choices that a DJ makes at home on his laptop prior to a gig, had to be made on the fly, or by painstakingly shuffling records in a bag ahead of time, when using vinyl back in the day. Also, being an ex-vinyl DJ, the use of a CDJ to mix and beat-match with is a breeze compared to using a turntable – ask anyone who uses a CDJ these days, it literally takes no more than 3 seconds to get your beats matched. How come? The CDJ offers you the BPM on each display and all you need to do is manually change the opposite deck to the same BPM then adjust the outer jog bending the track into time taking you seconds to beat-match. On that note, why not have a DJ controller and press the sync button? After all the CDJ’s job is to make a DJ’s job easier and quicker, it has already taken the preparation work out of the loop. So my comment to all those CDJ users who complain about using ‘sync’ in today’s modern world of DJ technology, is to rethink about this as I personally see no problems with taking 2 seconds to press sync compared to taking 3 seconds to match beats on a CDJ. Let’s face it, its not minutes like how you would spend on matching beats using a turntable! If it only takes a few seconds to match beats on CDJ’s I may as well just press the sync button!!! Which leads me on to Traktor and the Remix Decks. 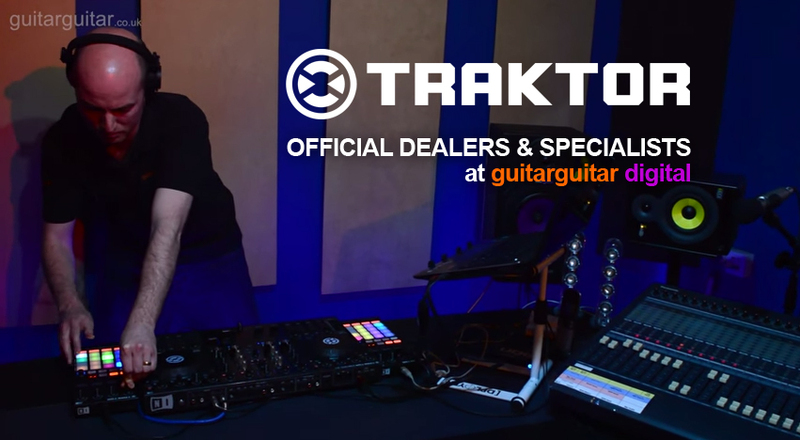 It is much more difficult to manage, prepare and perform a live remix or edit using the remix decks inside of Traktor, than it is to perform a set on CDJ’s. If you don’t believe me try it yourself. But when you get it right it does offer something unique and fresh to your performance and your audience. You can put your own stamp on other’s tracks, play music how you imagined it and take your audience on completely new journeys and not just play the track every other DJ has in their collection. This type of performance should be praised much more; as there can be no toe tapping during a live performance. 100% attention is commanded and the margin for mistake is increased, meaning this is a skill that needs to be mastered just like the good old turntable, all while the sync button is switched ON. So whilst the good old turntable is legendary, in the modern world of today, could the Remix Deck and the new format of a Remix ‘set’ be the future of DJ’ing? Not as a sole form of performance but as an additional ‘tool’ to bring creativity back to your DJ set and not just wait for the track to run out. My grand father every time used to watch YouTube funny videos, hehehehehe, because he wants to be delighted forever. One other method for promoting your web site is posting comments on different sites with your blog link. I also like Flash, however I am not a good designer to design a Flash, however I have software by witch a Flash is automatically created and no additional to work.